The City of Los Angeles has just released a draft of the “Commercial Cannabis Activity Requirements.” These are the essential regulations for the medical marijuana business in the City of Los Angeles. This document is 51 pages and must be posted for 60 days during a period for the public to make any comments they see fit. The new regulations will cover various aspects of the recreational sale of marijuana. This includes recreational use marijuana cultivators, distributors, manufacturers, testing centers, and other parts of the marijuana business.As our Los Angeles marijuana business attorneys can explain, these new laws are an extension of what was already passed as Proposition M. Proposition M was enacted to replaced Proposition D that left no way for a marijuana business to enter the market in Los Angeles. Proposition D was essentially an indefinite moratorium on new medical marijuana businesses within city limits. Any applications already operating in the city through an immunity under Proposition D.
Registry eligible applicants that are not involved in retail sales. A restricted issuance to the general public based upon other regulations. An unrestricted issuance based upon the Social Equity program. While these regulations are not yet in effect, they are rather complex to someone who does not have experience working in the industry. Since we are talking about investing a lot of capital to enter the marijuana business, you want to make sure your money is well spent, and that you will have the best chance of traveling smoothly through the complex regulatory process. 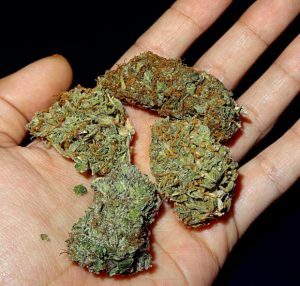 For this reason, the best thing you can do is to speak with an experienced marijuana industry attorney to make sure you are in full compliance with all regulations and taking the path of least resistance. In addition to these city-wide regulations, there are also a lot of state regulations pursuant to the voter initiative that enabled legal sales of marijuana for recreational purposes. This is not to say that there is not a lot of money to be made in the cultivation, sale, and distribution of marijuana for recreational use, but again, it is essential that you make sure you are on the right side of the law. There also zoning requirements that will control whether or not you are allowed to have your marijuana business at a particular location, and, as we have seen in the past, there are many marijuana businesses that run into trouble if they are not in compliance with these various zoning ordinances. Those who oppose your business being in a particular location will be quick to call in any suspected violations of the zoning regulations.